Crystal bridal shoesare the popular, celebrity-inspired range of bridal and evening shoes. Some designers & stylists exclusively stock the entire range of bridal shoes and sandals. Crystal shoes are designed on any types of shoes by the process of ‘strassing’ as per bride’s need and look. Online boutique brings most trendy shoes designs all together. 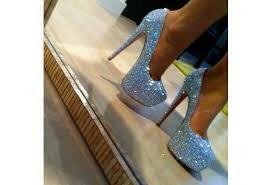 This is to ensure that brides-to-be will have an enormous choice among luxury crystal shoes which make brides glamorous. Crystal bridal collection of shoes features beautifully feminine, deco-inspired high heel glittering shoes which simply ooze glamour! Exclusive bridal footwear with crystal heels-Get the Look! Our collection is quite a unique offering for brides. Brides do not usually find these fashionable wedding shoes when shopping for bridal accessories. If you desire to add a wow factor to your wedding shoes, why to look anywhere else? Whether you are looking for ivory, white, silk, silver, gold or any color crystal wedding shoes. You will be ensured that you make the perfect choice to complete your wedding outfit! Crystal shoes feature high fashion styles. Crystal shoes are a popular choice for brides. 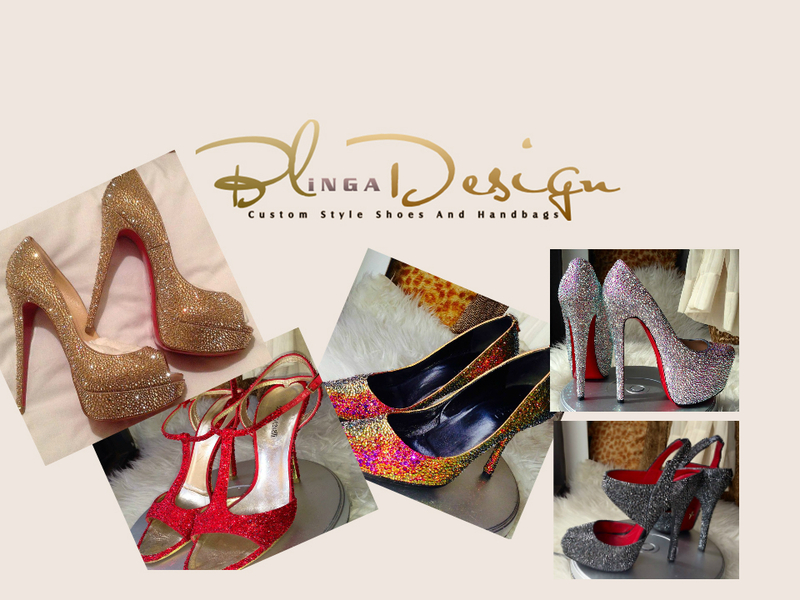 If you are looking for the perfect pair of such glamorous shoes, Blingadesign will be the perfect choice. Blingadesign is a renowned Crystal Bridal shoes designer and Stylist. Their creation gives a luxury makeover for brides who dare to be different!Brides can choose from a plenty of options. Browse the latest bridal shoe trends in new arrivals category and shop. The perfect pair of shoes enhances the attire of an individual. The variety for men includes very few in comparisons to women. Women are crazy for products that enhance their appearance and shoes are a part of it. The custom-made shoes are the best that would meet women’s expectations. Provide them with your simple shoes and they would modify it according to our needs. 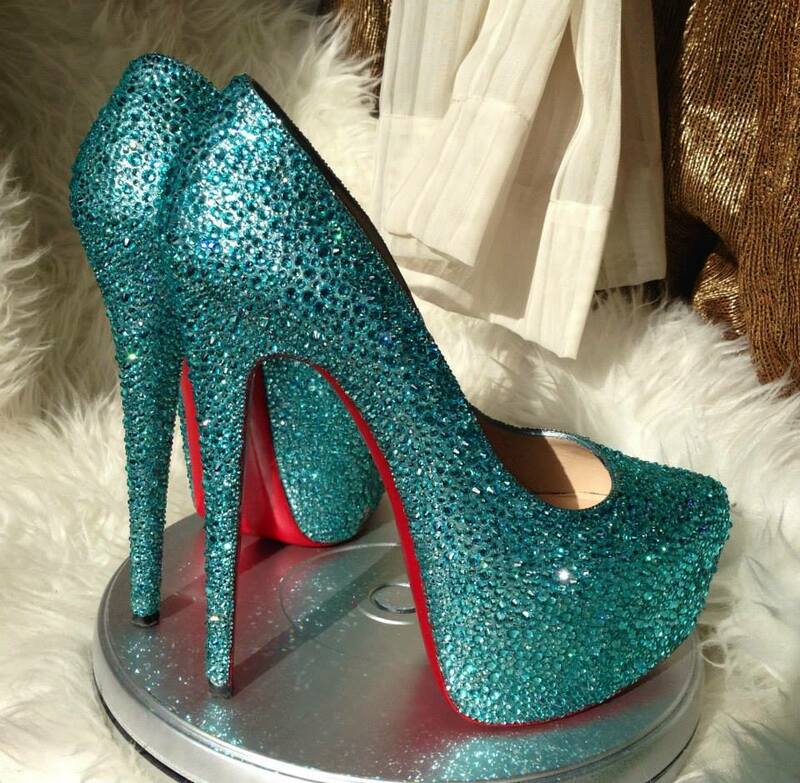 They can turn a simple pair of shoes into a gorgeous pair of Cinderella shoes that custom crystallized shoe. Contact your custom designer and tell them about your shoes that you would like to modify. Chose your desired design and the contrast color that would match your shoe color. The designer sends their customer the quote that would cost for their Swarovski crystal shoes. The customized shoes will be at the customers doorstep in the time specified. The quality they provide their customer is unique. They give their best to make the product best. They pay attention to every detail and leave their customer without a chance to mention their flaw. The shoes purchased at stores are not always appropriately done. It may include wide gaps and incorrectly placed crystals. This is not the case with the custom-made shoes. They provide you with free services in case the crystals may fall off at some point of time. They retouch the pair of shoes and make them as elegant as a new pair.